Migraines are a scourge that afflict people throughout Texas and across the entire globe. According to one estimate, 12 percent of Americans suffer from migraines1 The biggest headache for most healthcare providers, though, is trying to figure out how to properly treat migraines. Standard migraine treatments range from over-the-counter drugs containing ibuprofen to opioids, beta blockers, and antiseizure medications. 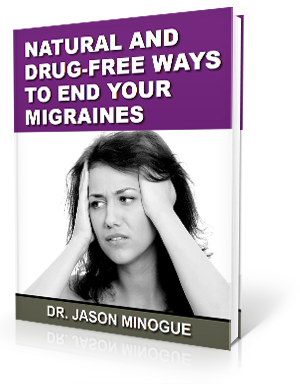 If you prefer a natural treatment option for your migraines, consult Dr. Jason Minogue, a migraine specialist in Houston, Texas. Dr. Minogue utilizes natural and gentle Upper Cervical Chiropractic methods to provide relief. This frequently gets right to the source of migraines, rather than simply treating the symptoms. Research shows that a correlation exists between C1 vertebrae misalignment in the neck and migraines. After an examination, patient-specific treatments can provide fast, natural, and affordable relief for those who suffer from migraines. Thompson D. Malpractice fears spurring most ER docs to order unnecessary tests. http://www.wsfa.com/story/28603123/malpractice-fears-spurring-most-er-docs-to-order-unnecessary-tests (accessed 10 April 2015).